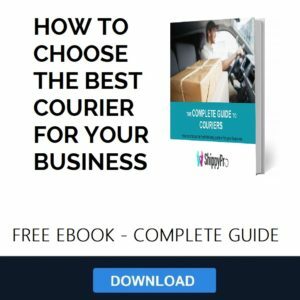 If you manage an e-commerce business than you know the importance of choosing the proper mail courier. Choosing the correct courier is not just a search for the right supplier. It’s about identifying a serious ally that will help you deliver the best value and service to your customers. The right courier will satisfy your customers with the best quality, speed, and cost effective services. 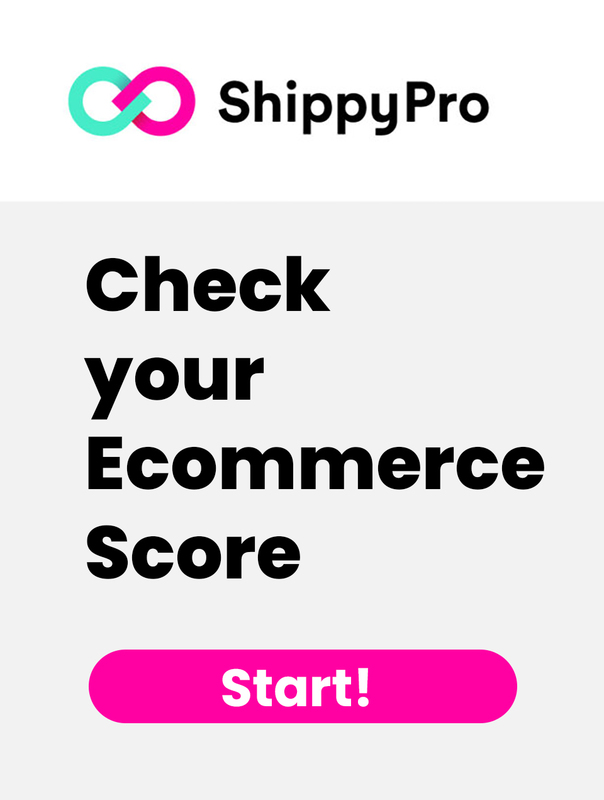 Here at ShippyPro, we want to help you in your search for that perfect carrier. Today we will be analyzing UPS and UK Mail. UPS is based in the United States and is one of the world’s largest freight carries. UK Mail is based in The United Kingdom, playing a key role in the UK market. They also effectively serve the international market as well. In this article we will be analyzing UPS and UK Mail’s National US services, National UK services, European, and international services. UPS Next Day Air Early Next business day delivery by 8:00 a.m.
UPS Next Day Air Next business day delivery by 10:30 a.m.
UPS Next Day Air Saver Next business day delivery by 3:00 a.m.
UPS 2nd Day Air a.m. Delivery by second business day by 10:30 a.m. The table above lists UPS’ services for US to US deliveries. UPS’ services mainly fall into four categories: Same day, next day, two day, and three or more day delivery. Same Day Delivery is for those critical packages that must arrive on the same day, no matter what day of the year. Next Day Delivery guarantees delivery your packages the next business day with options of by 8:00am, 10:30am, or 3:00pm. Two Day Delivery delivers your packages in two business days with the options of 10:00am or by the end of the day. Three or More Day Delivery provides economic options with a guaranteed delivery by the end of the third business day. Or for the most economic option of delivery between one and five business days. UK Mail does not provide specific US Services. This table compares UPS and UK Mail’s domestic services throughout the UK. UK Mail offers very reasonably priced next day delivery options to the UK. But also offers more economic options if time is not as important of a factor. UK Mail provides special value in that they offer many services that will deliver on Saturdays, a service that is rather unique in the shipping industry. Pre 9:00 am offers delivery by 9:00 am the next possible business day Monday though Saturday. At a reasonable price and next day delivery, this is one of UK Mail’s most popular options. UK Mail’s Next Day delivery service promises delivery by the end of the next business day. This is available Monday through Saturday and is rather close in price to the Pre 9:00 am service. There is also a special Saturday Service for parcels that are intended to arrive ahead of time on a Saturday. This is beneficial because you are able to selectively pay only for the Saturday service without paying for the expedited delivery. UK Mail’s Flexible Option is their most economic shipping service in the UK. Delivery is guaranteed by the end of 3-5 business days. This service is only available Monday through Friday but is the best option in terms of cost. UPS offers a wide range of services that can be broken down into same day, next day, and 1 to 5 day categories. UPS Express Critical offers same day delivery within one hour of collection. This is the perfect option if time is critical and money is no issue. UPS Express options deliver the package the next business day with times of delivery ranging from 9:00am, 10:30am and 12:30pm. UPS Standard offers the most economic option with delivery times falling between 1 and 5 days. UK Mail only offers one European specific service, Road Express. This service aims for delivery by the end of the day in 2-6 business days. At a fair price point and reasonable delivery time, this option is very popular in the European market. UPS offers all the same services for Europe that it offers internationally. Standard Service is the most basic service, trading slightly longer delivery times for cost effectiveness. Express Service offers the opposite with shorter delivery times at a slightly higher cost. The main difference between UPS’s standard and express services is the mode of transportation. UPS standard services use a truck while express services use an airplane. The table below lists the international shipping services provided by UPS and UK Mail. UPS offers several international services, some of these services are the same for shipments in Europe. Express Saver and the Expedited Service are the most cost effective solutions guaranteeing safe delivery with reasonable delivery times. Both are door-to-door services with delivery scheduled within 5 business days. Customs clearance is even included. The Worldwide Express Saver is the fastest international solution UPS has to offer. Delivery times range from 1 to 3 days depending on the destination location (time slots are preset). Three free delivery attempts are included. Finally, if you choose the Worldwide Express Saver option, free packaging is included in the service at a slightly lower price point. UK Mail’s only international option is their Air Express service. Like Road Express This service aims for delivery by the end of the day in 6-10 business days. Like its European counterpart, it is a very popular delivery service. UK Mail offer a Print Logistics additional service specially serving the print and promotions industry. This service specially manages POS stock, secures storage of POS and call-off facilities, collation, fulfillment, packing and wrapping, labeling and data management support. UPS’s offers an extensive list of useful additional services to its customers. The physical UPS stores offer customers business services as well as shipping materials. The most used additional service is the UPS Access Point. A UPS Access Point is an efficient and convenient location that allows customers to send and collect their parcels. Through this service you can also deposit parcels being returned and choose the preferred time to pick up the parcel. It is an extremely simple service to use. Once you select the time the package will arrive at the access point, the customer will receive an email or sms message notifying them when their package will be ready to be picked up. Allowing them to collect their package at their earliest convenience. Only a valid identification card is required for the withdrawal. 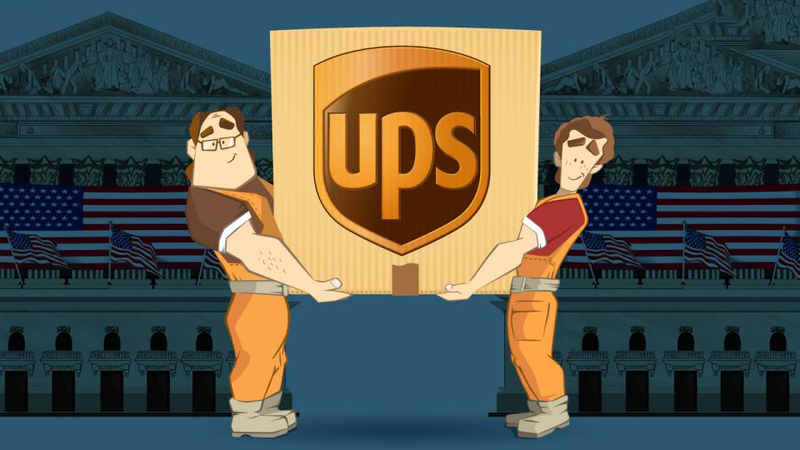 UPS Returns is the standard return service that allows you to create and deliver customer-generated labels that attach to the original shipment or to a new delivery. Labels can be sent via email or traditional delivery. UPS Returns Plus, is the service where UPS is responsible for everything. From label creation to delivery of the item up to final destination, all the responsibly is off your shoulders. The service has two additional options, a one-day return attempt or a 3-day return attempt. Returns via the UPS Web is the service that allows the end customer to complete the reselling process online (via a web browser), including the creation of a UPS return label. Additionally, companies can link their back-end databases to the yield process, making the most of return product information, thereby reducing costs and improving customer service. We at ShippyPro operate in the e-commerce sector, especially in the field of online shipments. We are in daily contact with many domestic and international couriers. Evaluating all the work of a courier is not an easy task. The one perfect courier does not exist, however, there are certain couriers that are more suited for the needs of your business. In this article we have introduced the main services of both UPS and UK Mail. We want to help you choose the ideal logistics partner for your needs, but there are other considerations we need to look at. To do this, we will show you the only meter of transparent judgment we have; the reviews of our customers who use UPS and UK Mail daily to ship domestically and around the globe. Below are the total reviews of the two couriers formed on the basis of daily feedback from our customers. UPS vs UK Mail: Who do we choose to ship? At this point you understand how difficult it is to determine which courier is better than another. It is well known that some carriers work better in some areas than others. Now, considering that your goal is to provide the best customer service, there is nothing better than trying to enter into a contract with not one, but multiple couriers. This way you will be able to offer excellent service in every area and every category of product. Instead, look to choose different couriers, each for a specific scope, significantly reducing asset management costs. In fact, each freight forwarder charges very different tariffs in relation to the weight, size, and destination of the goods. Compare and choose the best carriers for any type of shipping you make! Comparing all these carriers is a time-consuming process, but there are services for managing the various shippers that can help. The best way to manage this important decision is to choose a software that automatically compares the prices of different vendors and / or allows you to set shipping rules, saving you time and money.